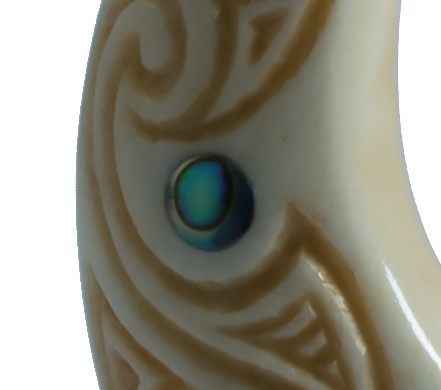 Each bone carving tells a story. 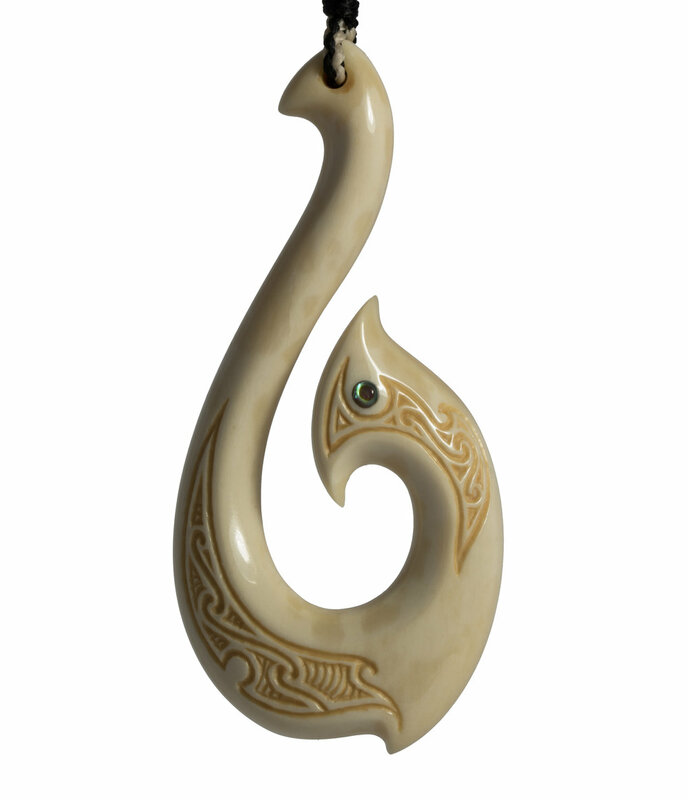 The following Bone Carvings are some examples of Matu (fish hooks) and Manaia Hooks that I have recently completed. 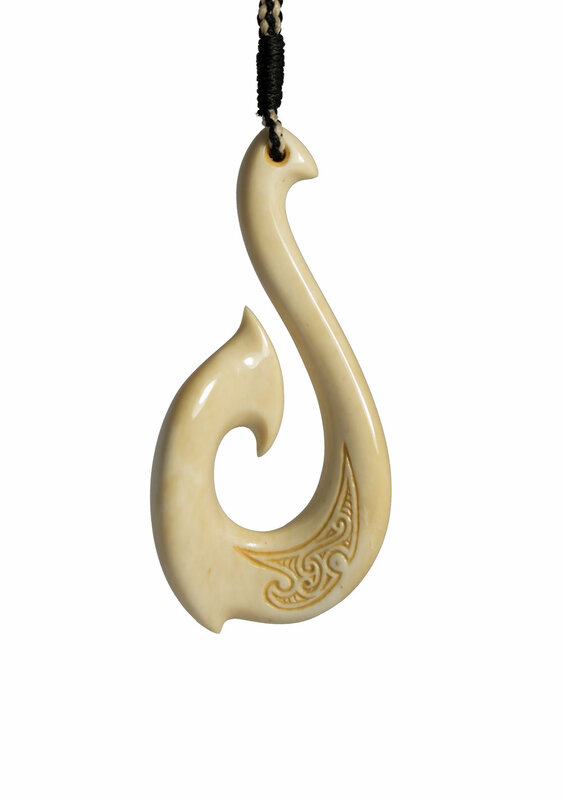 These are some of the more popular carvings within New Zealand. 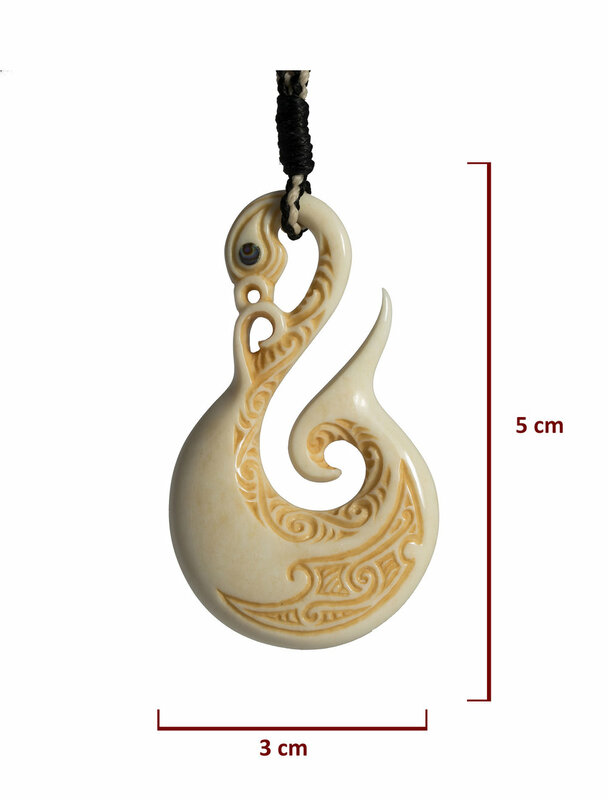 No two carvings are exactly the same. 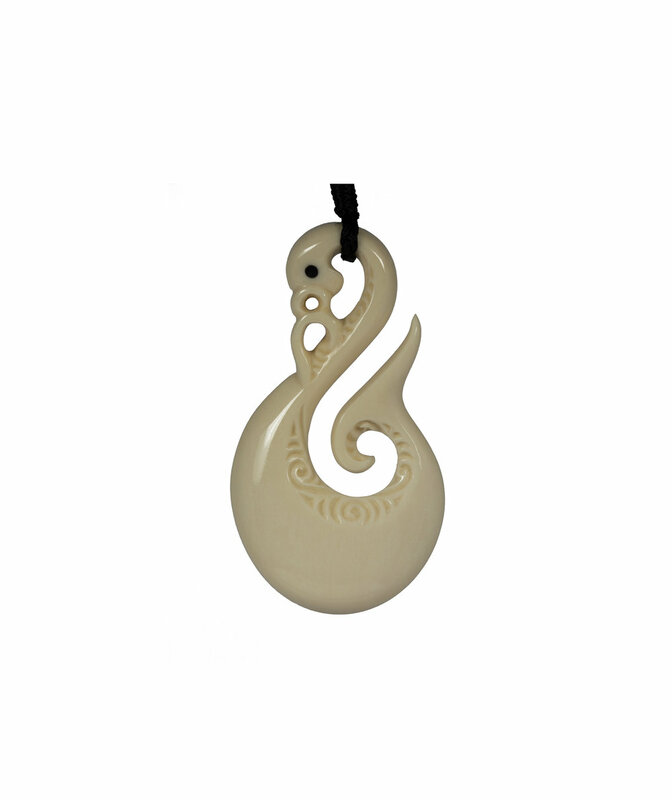 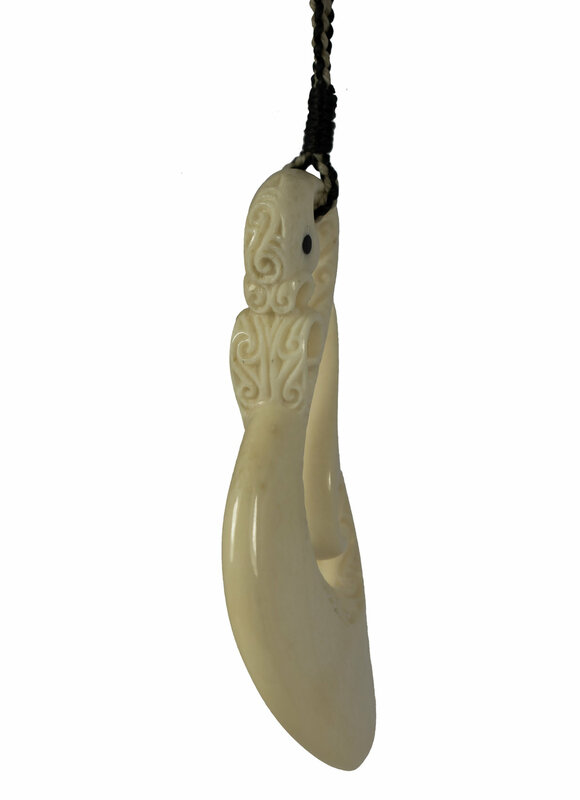 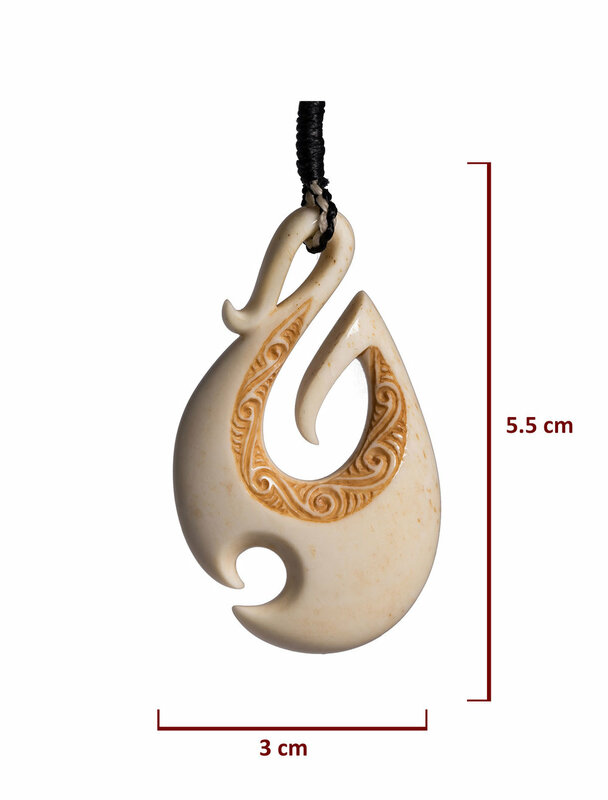 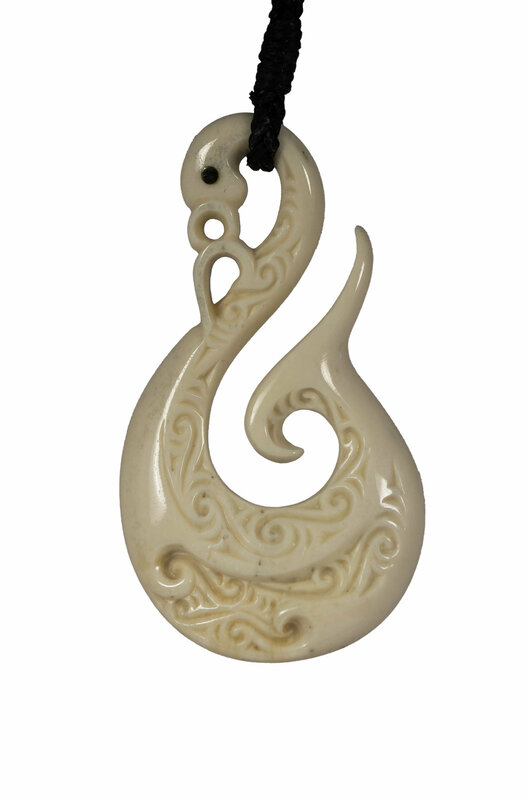 For specific meanings relating to each Taonga click onto the content link of each carving displayed below. 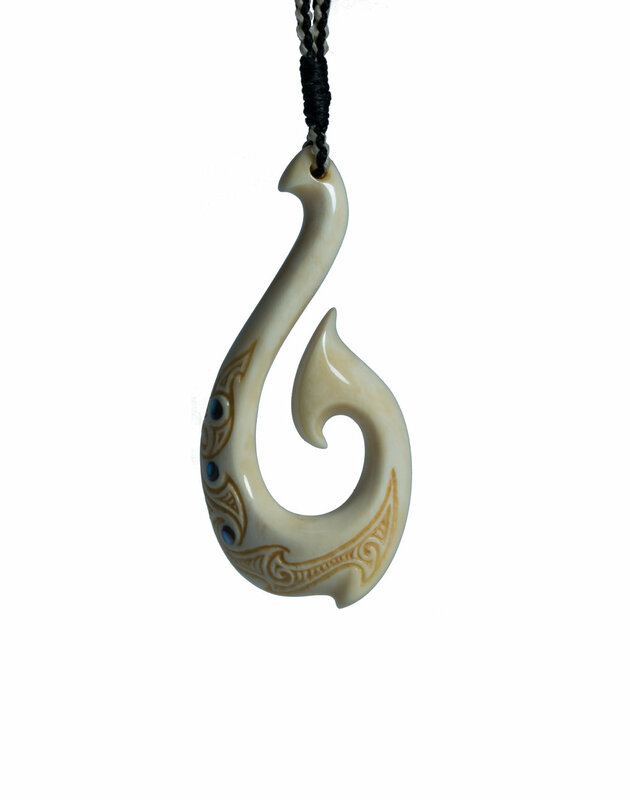 The following Bone Carvings are some examples of Matu (fish hooks) and Manaia Hooks that I have recently completed. 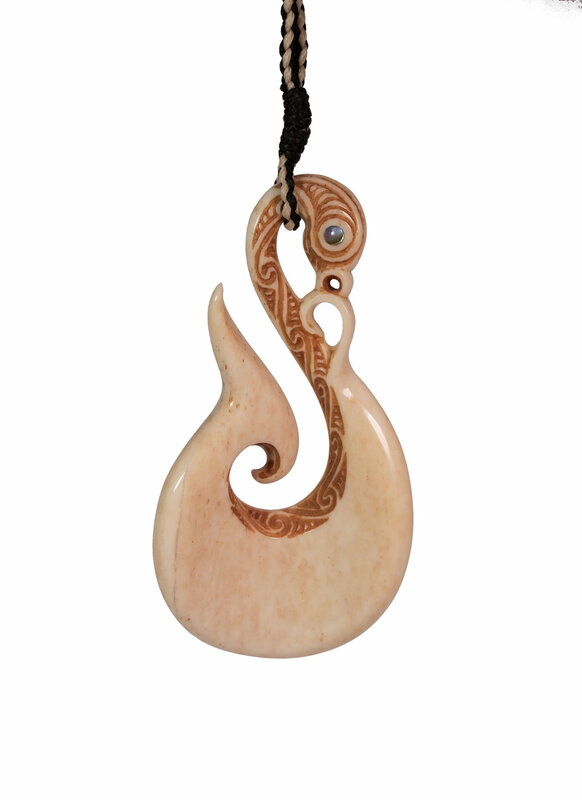 These are some of the more popular carvings within New Zealand. 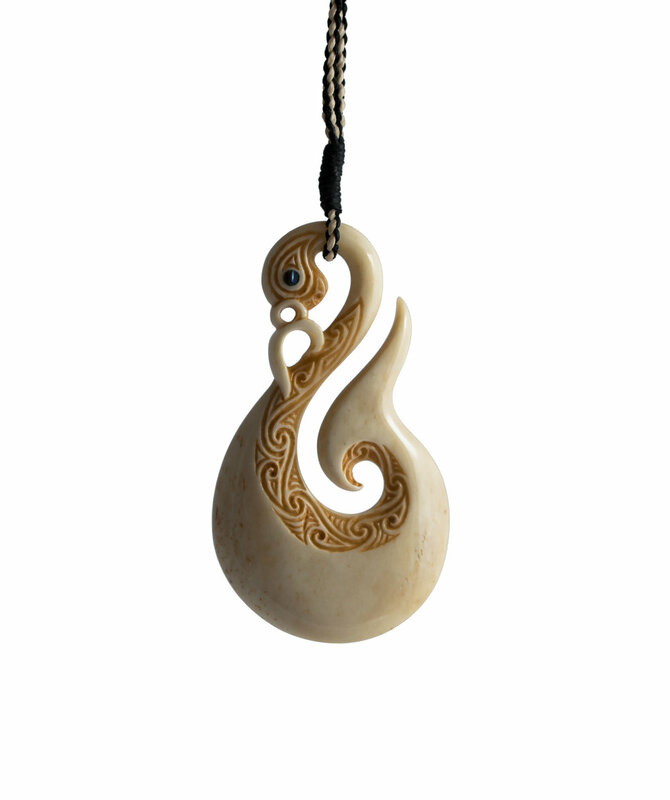 No two carvings are exactly the same. 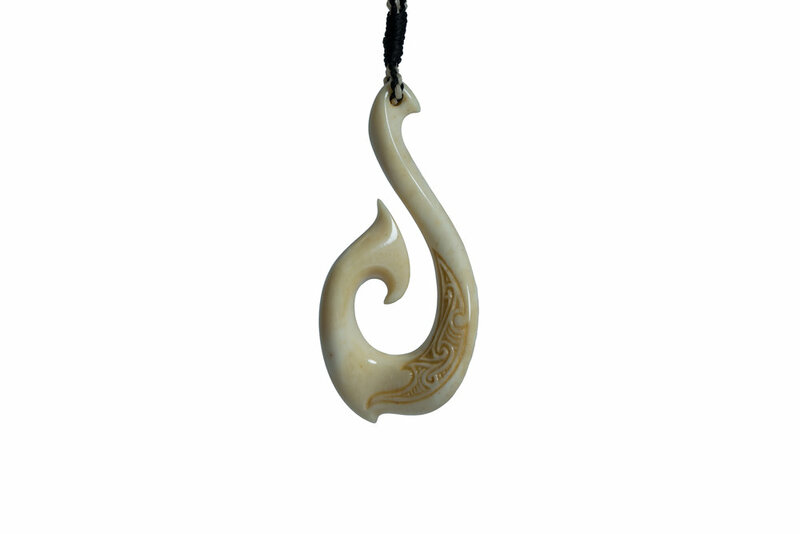 For specific meanings relating to each Taonga click onto the content link of each carving displayed below. 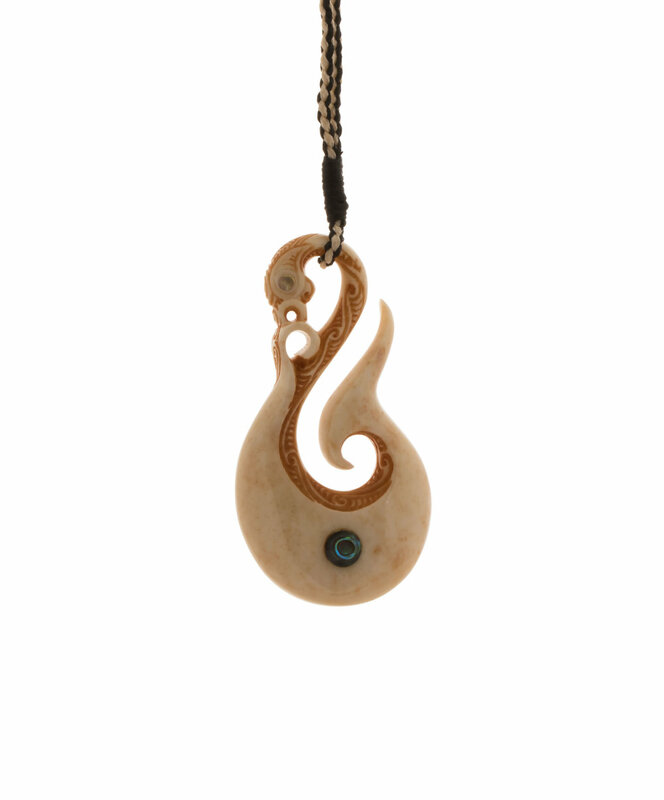 The markings of koru and the patterns they form represent the interconnected nature of all things. 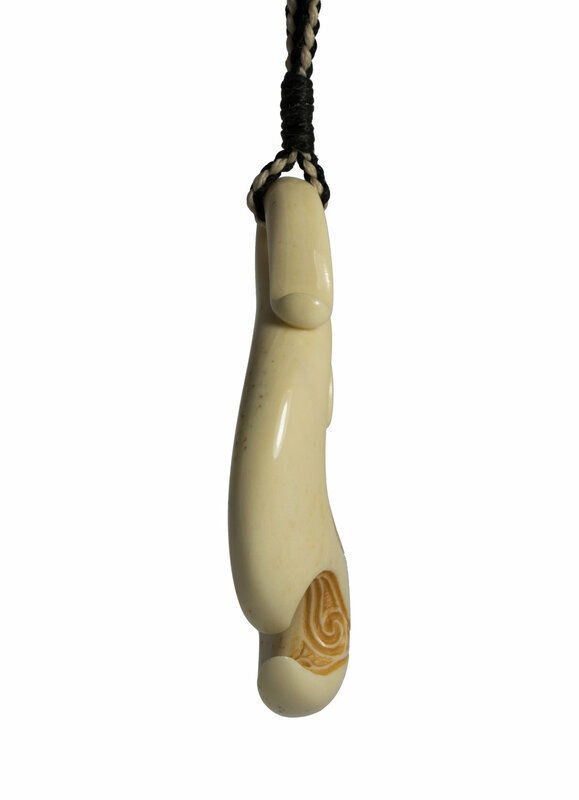 Hence the name of this Taonga is Taupuhipuhi meaning interdependence, mutual reliance, mutual support, mutual dependence. 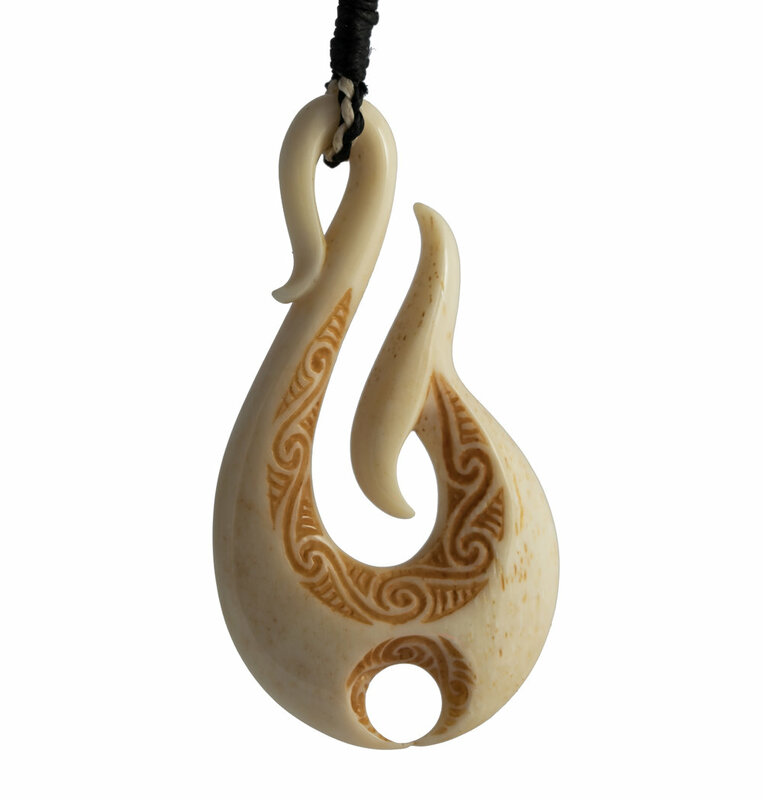 Each of my Manaia Hooks unique and a little bit different each time I make one. 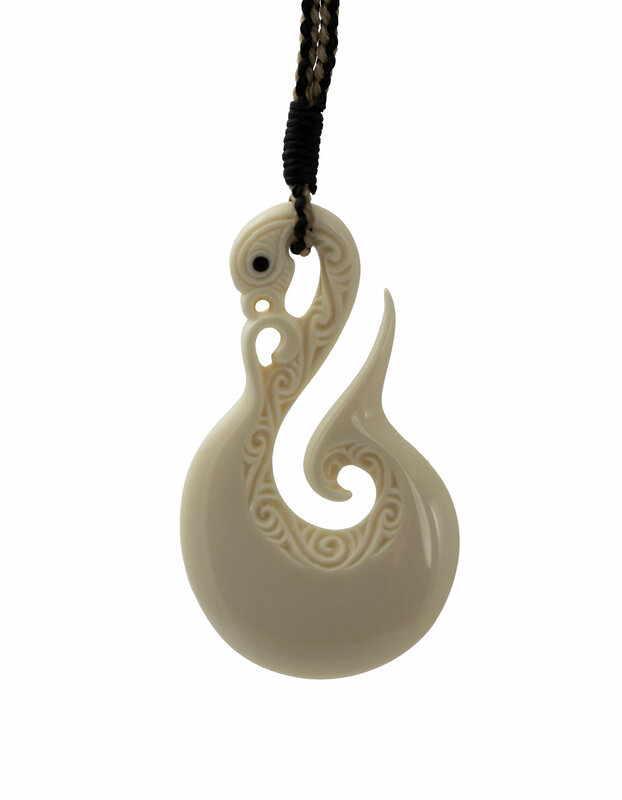 This one is named Ukaipō - Real Home. 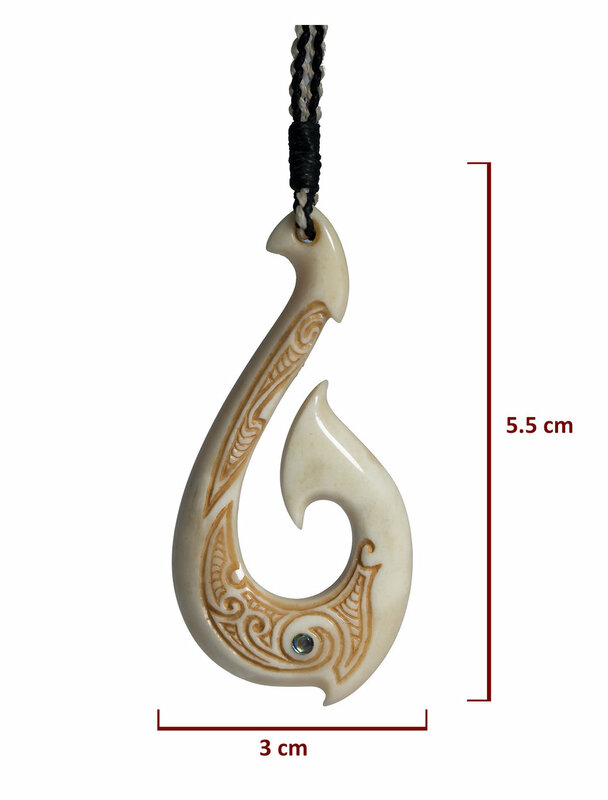 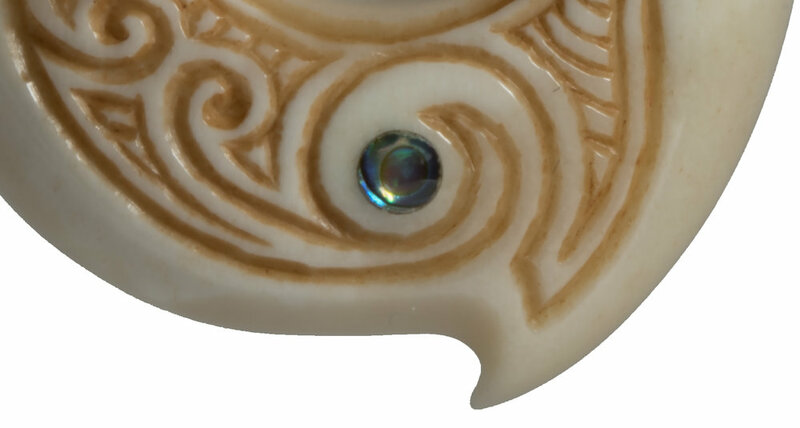 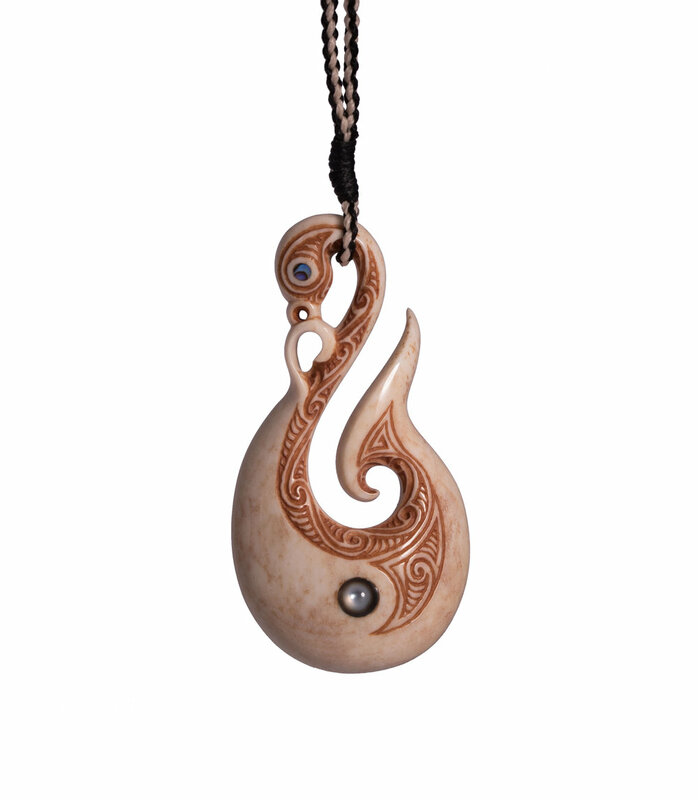 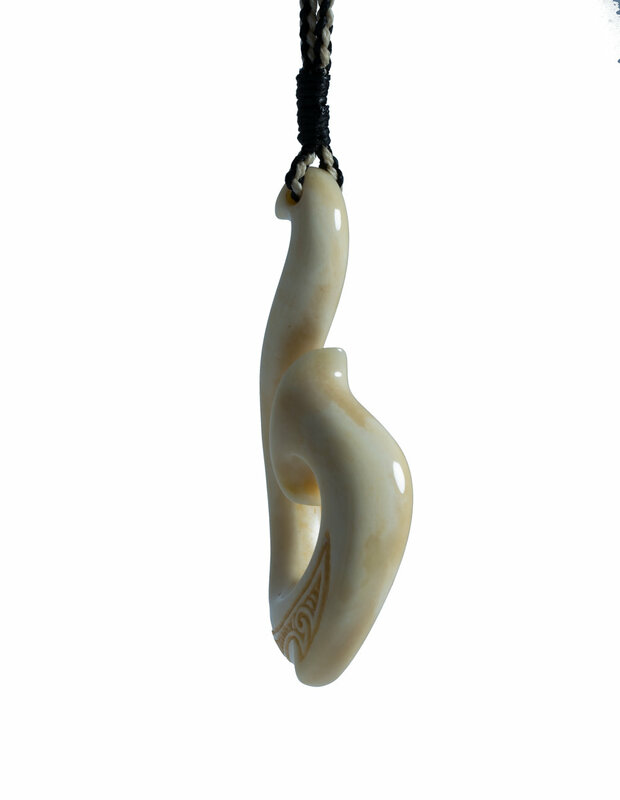 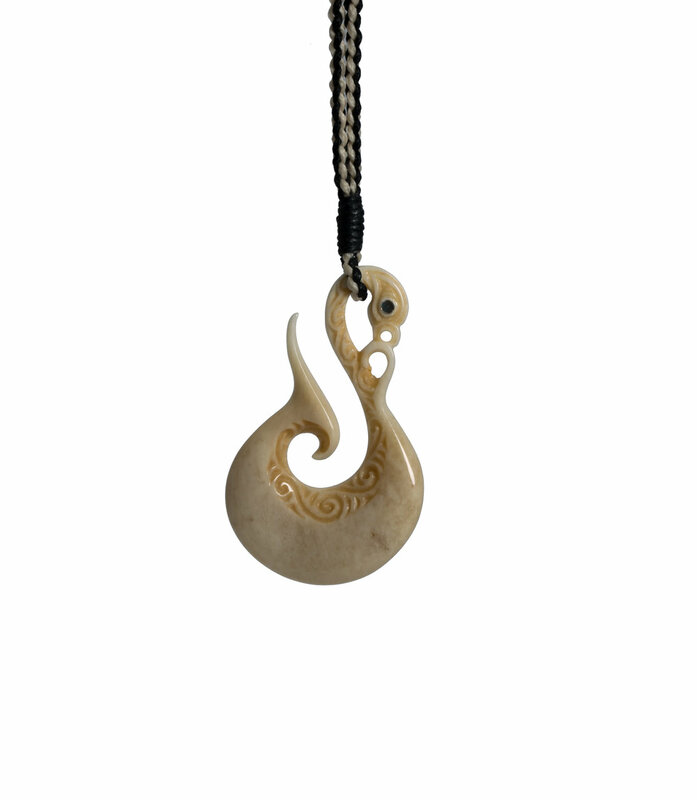 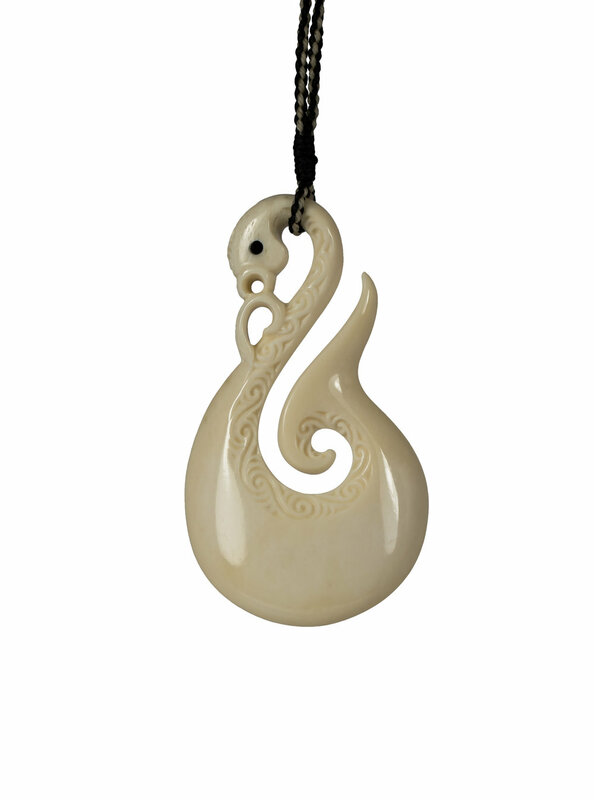 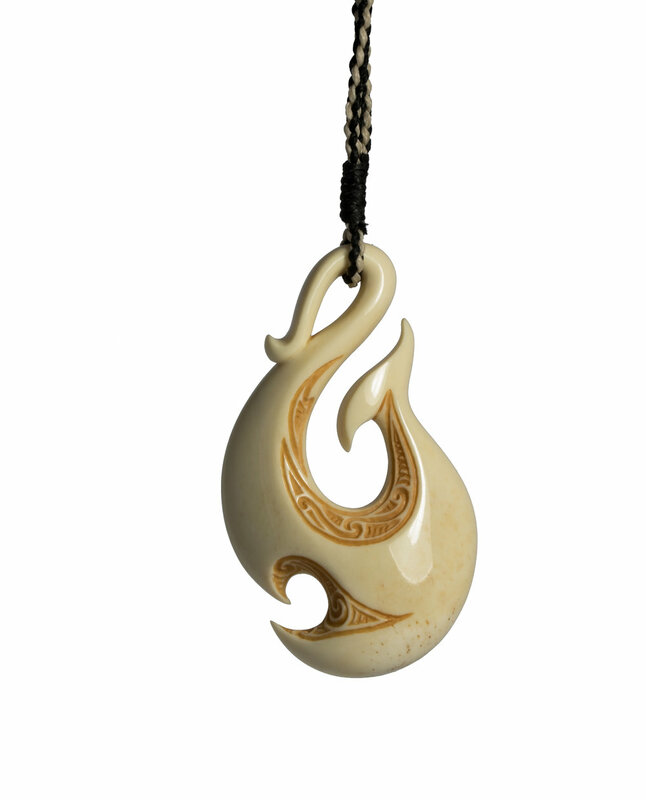 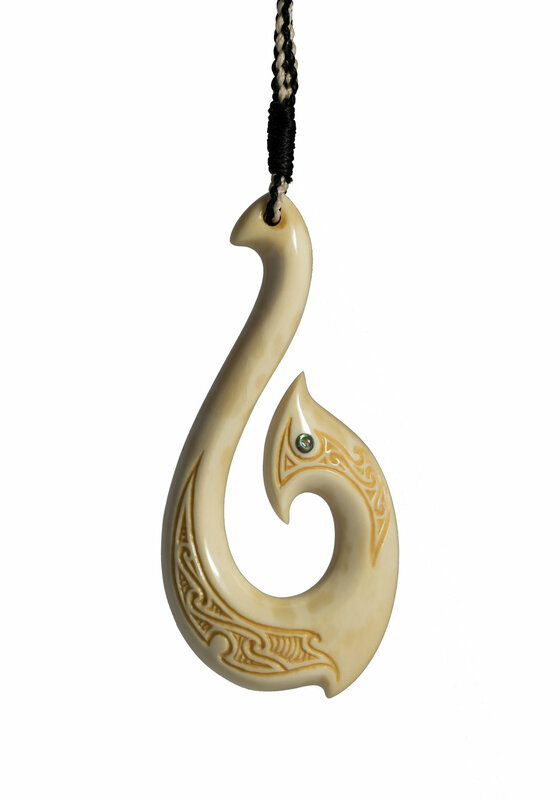 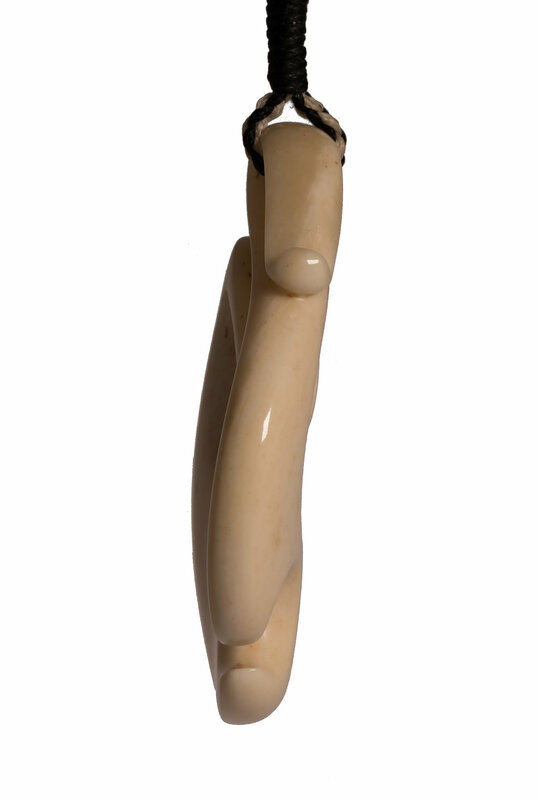 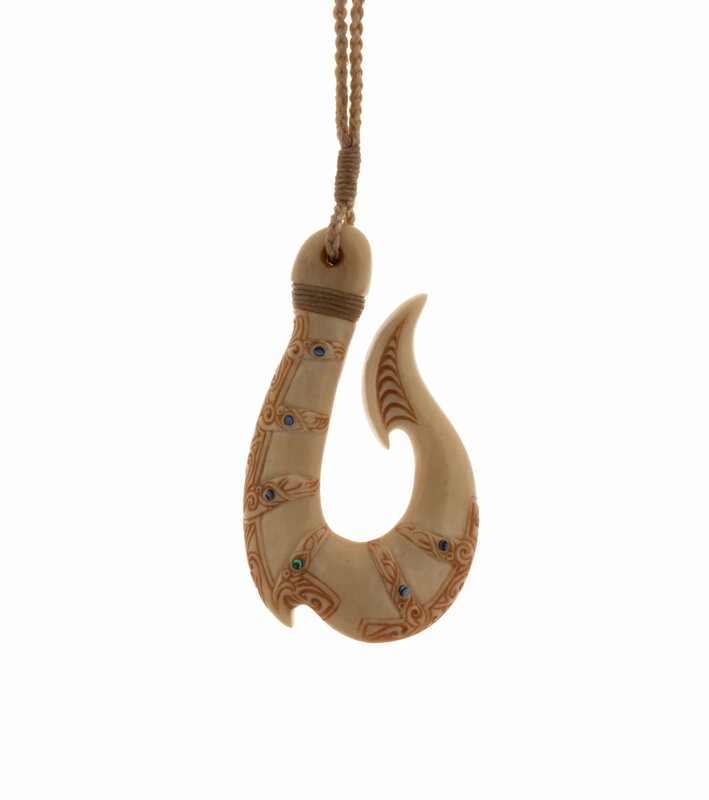 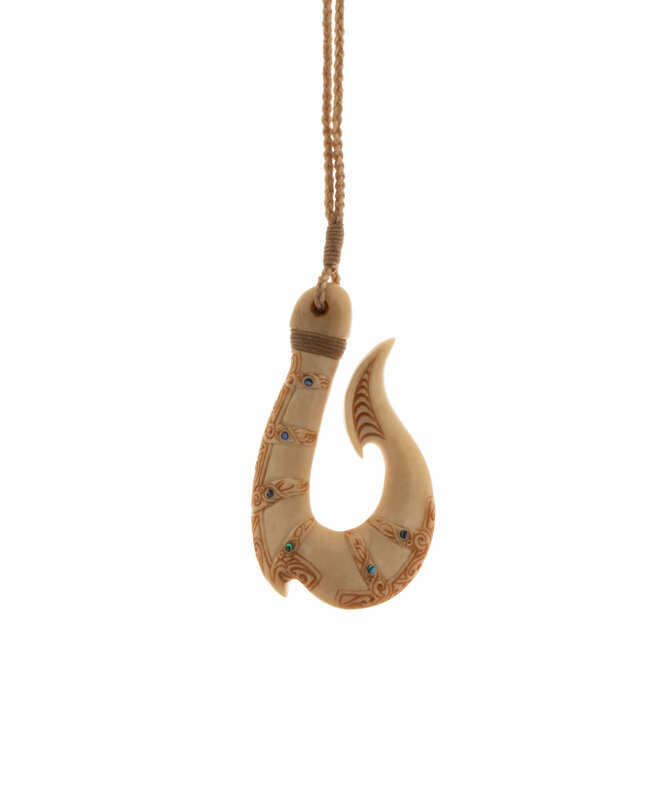 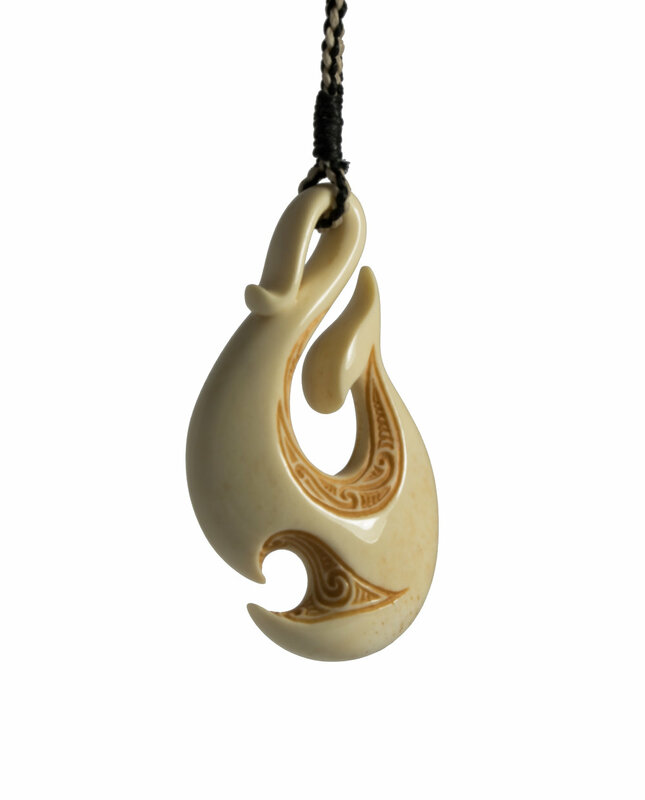 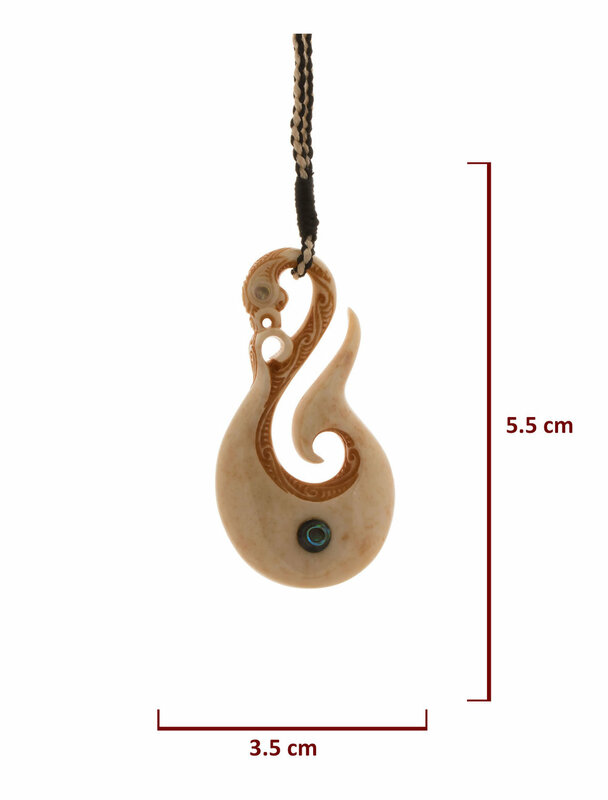 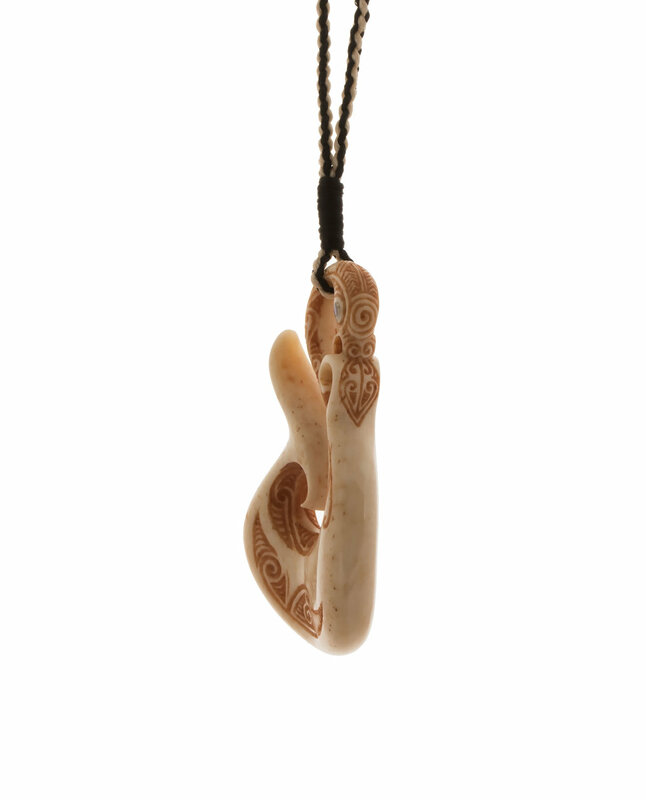 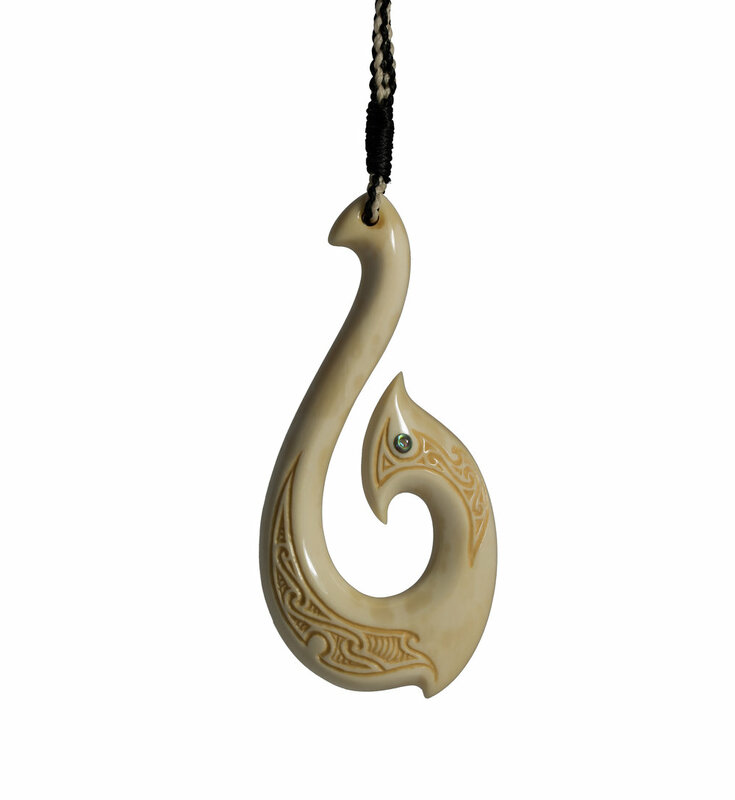 Additional to the basic meaning associated with this style of Matu, this Taonga contains a Mother of Pearl inlay that represents the opening of our heart. 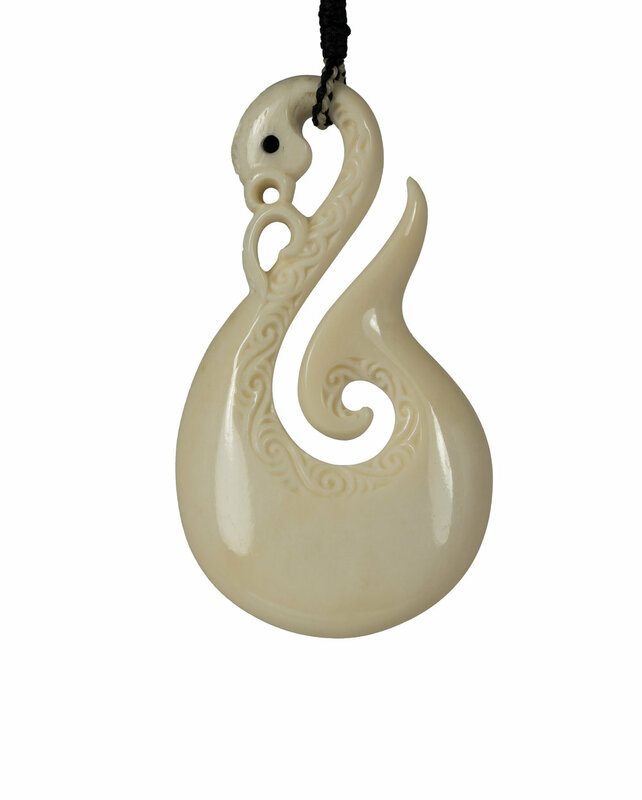 This is symbolic of understanding our true nature and as a result, developing a peaceful mind.